Forest dwelling communities have created a new economy courtesy a decade of the Forest Rights Act. 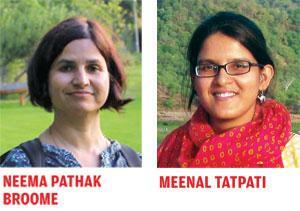 Will the bureaucracy support the empowered communities? On November 17, the forest department of Odisha gave in to the demands of tribal communities from six villages of Kalahandi district. 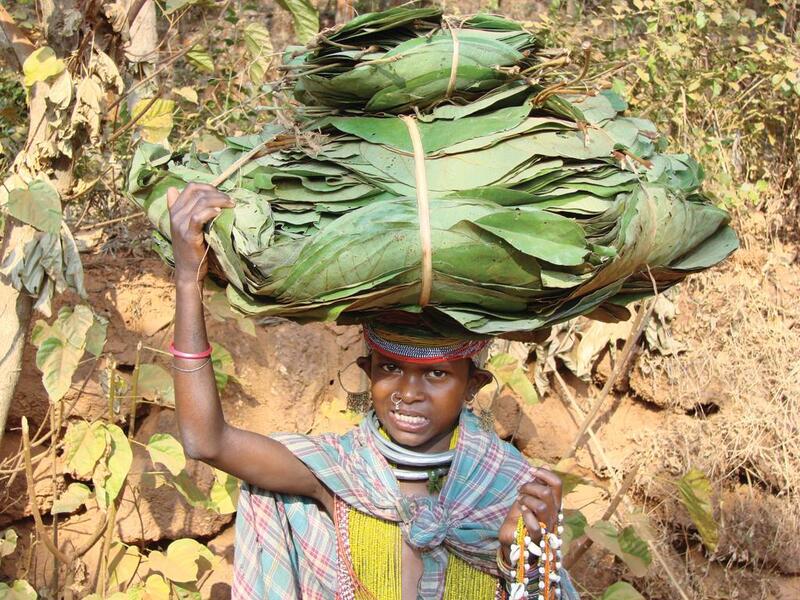 The communities wanted to sell the tendu leaves they had collected from the Bhawanipatna forest division to traders of their choice, but it took them six months of protests and several memorandums to make the forest department budge. Traditionally, the Odisha Forest Development Corporation would buy the leaves from them. This year the corporation was offering the communities Rs 2.40 for a bundle of 60 leaves but direct sale to traders fetched them Rs 7.50. This was a major victory for the communities and was possible because of the Scheduled Tribes and Other Traditional Forest Dwellers (Recognition of Forest Rights) Act, 2006, or FRA. The Act recognises that forest dwelling communities have three kinds of rights—individual rights (occupation and cultivation); community rights (grazing, fuelwood collection, fishing, ownership and disposal of non-timber forest produce or NTFP, among others); and, rights to protect, regenerate, conserve and manage community forest resource (CFR) areas. “The recognition of CFR rights is the most empowering provision of the Act because it restores gram sabha’s [village council] control over governance of forests from the forest department, thereby democratising the country’s colonial forest governance as a whole,” says Madhu Sarin, a Chandigarh-based forest rights activist. But of the 5.5 million hectares (roughly, the area of Himachal Pradesh) given away by forest departments across the country so far, only 1.1 million hectares (ha) is under this third category. With 150 million forest dwellers, the scope of the Act is immense in India. 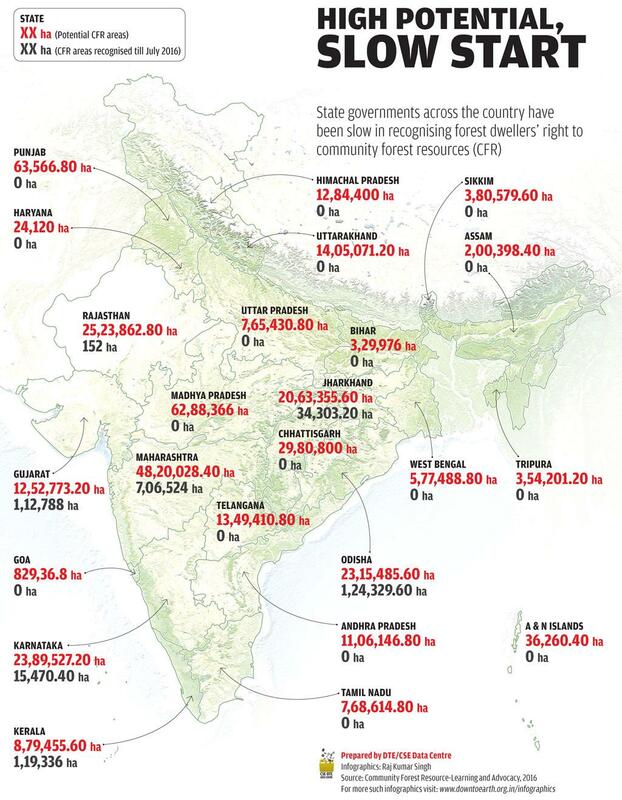 As per an estimate by Community Forest Resource-Learning and Advocacy, a network of civil society groups fighting for the rights of forest dwelling communities, about 34.6 million ha, or 45 per cent of India’s total forest area, should be recognised as CFR (see ‘High potential, slow start’, p37). According to the Ministry of Tribal Affairs (MoTA), about 4.2 million individual, community and community forest resources claims have been filed and title deeds on over 1.7 million claims have been granted till July 31, 2017. Since the Act recognises forest dwellers’ rights over NTFP, it can also help transform the forest economy. A 2006 study by the Institute of Economic Growth, New Delhi, had estimated the all India average value of NTFP to be Rs 1,671.54 per hectare. Assuming a conservative inflation rate of 5 per cent per annum, per hectare valuation of NTFP in 2017 works out to Rs 2,859. In the CFR potential areas alone, the estimate of the gross value of NTFP would be over Rs 9,890 crore, which is more than the combined budgets of the MoTA and the Ministry of Environment, Forest and Climate Change (MoEF&CC) for 2017. For the first time, the rights of forest dwelling communities to collect and sell commercially valuable NTFP, such as bamboo and tendu, have been recognised. Reluctance of the forest departments to let go of their control over forests notwithstanding, there have been examples across the country where communities have revived forest economy by exercising their rights under FRA. Moreover, communities have consciously adopted measures to ensure sustainable use of forest resources. In 2013, Panchgaon village in Chandrapur district of Maharashtra would sell one tonne of bamboo for Rs 2,545. The rate nearly doubled to Rs 5,242 per tonne in 2015 (see ‘Solution to bamboo woes’). This became possible because forest dwelling communities started bargaining collectively with traders and even practiced competitive bidding once their ownership rights over bamboo in the forest were recognised under FRA. A small village of 60 households, Panchgaon earned Rs 1.46 crore in 2013-17. The gram sabha also paid more than Rs 8 lakh in taxes from the sale of bamboo during this period, making it one of the very few villages that pay taxes on income from natural resources. Despite INDIA being the second-largest bamboo growing country in the world, its share to the global trade of bamboo is only 4 per cent. In fact, the annual production of bamboo at 3.23 million tonnes, according to the National Bamboo Mission, is far from meeting the country's domestic demand for bamboo, which is estimated to be over 25 million tonnes. The productivity of bamboo in Indian forests averages less one tonne/ hectare(ha)/year. An analysis by Delhi-based non-profit Centre for Science and Environment (CSE) shows that the productivity of bamboo in community-managed forests is higher than the national average and rising. In Gadhirolli district of Maharashtra, bamboo management efforts by residents of Mendha Lekha village increased the productivity from 2.7 tonne/ha/year in 2011 to 5.7 tonnes/ha/year in 2014. Panchgaon village in Chandrapur district has been registering a steady increase in its productivity from 0.94 tonnes/ha/year in 2013 to 1.89 tonnes/ha/ year in 2015. Over 5,800 ha of degraded forests managed by the Vana Samrakshana Samitis (equivalent of Joint Forest Management) in Andhra Pradesh saw restoration of bamboo and an average production of 1.38 tonnes/ha/year. Members of most villages that CSE interacted with expressed interest in regenerating bamboo in their CFR areas not only because it has economic value but also for its local use as a source of food (bamboo shoots are a delicacy in many areas) and building material. CSE estimates that communities can achieve a minimum productivity of one tonne/ ha/year in mixed forests of CFR areas. In India, the Northeastern states own 66 per cent of the bamboo growing stock followed by Chhattisgarh, Madhya Pradesh, Maharashtra, and Odisha. Even if half the CFR potential area in these four states is brought under bamboo, the production of this resource will more than double in India, create local employment and bamboo-based industries, and contribute significantly to the socio-economic well being of forest-dwelling communities. To avoid indiscriminate chopping of bamboo in the CFR area, the gram sabha has imposed strict rules. In addition to practicing rotational felling of bamboo, only those bamboo poles that are three years old or older are harvested, and at least eight sticks per clump are retained. The CFR areas of Panchgaon are also rich in tendu, but the gram sabha has banned its collection. “Tendu is used for rolling bidis, which are harmful for our health,” says Gajanand Thamke, member of the Panchgaon gram sabha. “If tendu trees are allowed to grow, it bears fruits that birds love, and so do we. Besides, our income from bamboo gives us enough to meet our needs,” Thamke adds. But in Gondia district, 240 km north of Chandrapur, there are no restrictions on tendu collection in CFR areas. Since 2013, the income of villages in Gondia has risen steadily from the sale of tendu leaves. In its first year, 24 gram sabhas in the district earned about Rs 48 lakh from the sale of over 2,000 standard bags of tendu leaves, earning Rs 2,391 per bag. In 2016, these gram sabhas sold 3,277 bags for Rs 1.54 crore, fetching over Rs 4,700 per bag—a staggering increase of 97 per cent over a period of four years! The average annual household income from tendu leaves also more than doubled (from Rs 3,630 to Rs 9,164) during this period. A significant decision taken by the gram sabhas in Gondia has been to ban the practice of bush cutting and setting small fires in tendu-rich CFR areas. 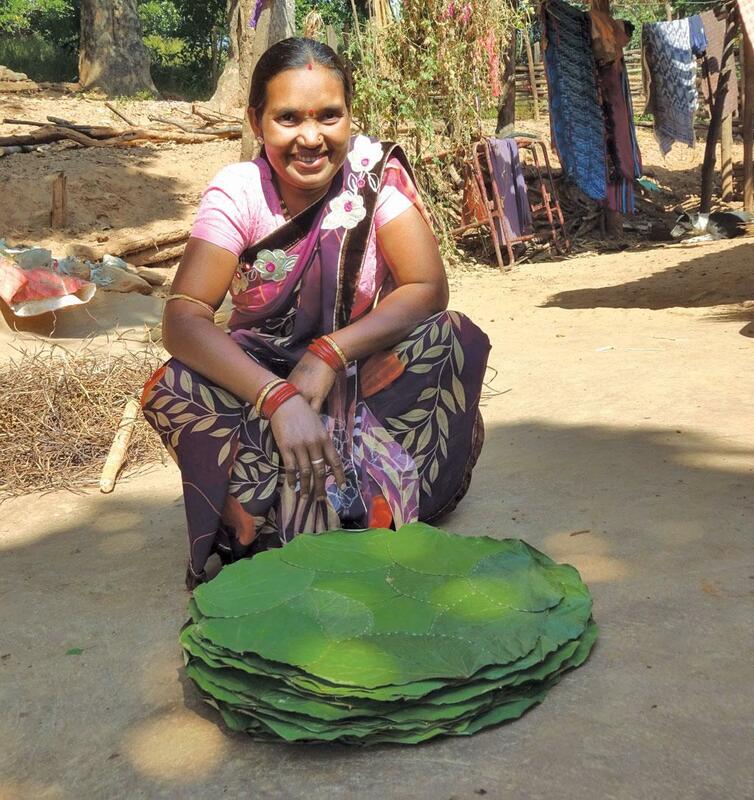 These practices have been known to enhance the production of tendu leaves, but the gram sabhas are determined to prove that ecologically destructive practices are not needed to improve profitability. Payvihir, Nayakheda, Upatkheda and Khatijapur villages in Amravati district are yet another success story. “What these people got under CFR is the worst quality of forests. Only stunted trees of palas used to be found here,” says S Bakhede, Paratwada Range Forest Officer referring to the 990 ha of forests in Amravati forest division over which the four villages got CFR rights in 2012. What once was a barren landscape is now full of greenery due to the efforts of these villages. With guidance from an Amravati-based non-profit, Khoj Melghat, these villages are implementing a 10-year management plan that includes plantation of mixed species, intensive soil and moisture conservation, removal of exotic and unwanted species, and restricted grazing. Though forest departments have mostly played an obstructive role in the CFR process, the Amravati Forest Division helped as a facilitative agency and provided technical and financial support. But the gram sabhas, led by the youth of the villages, retained the decision-making authority. 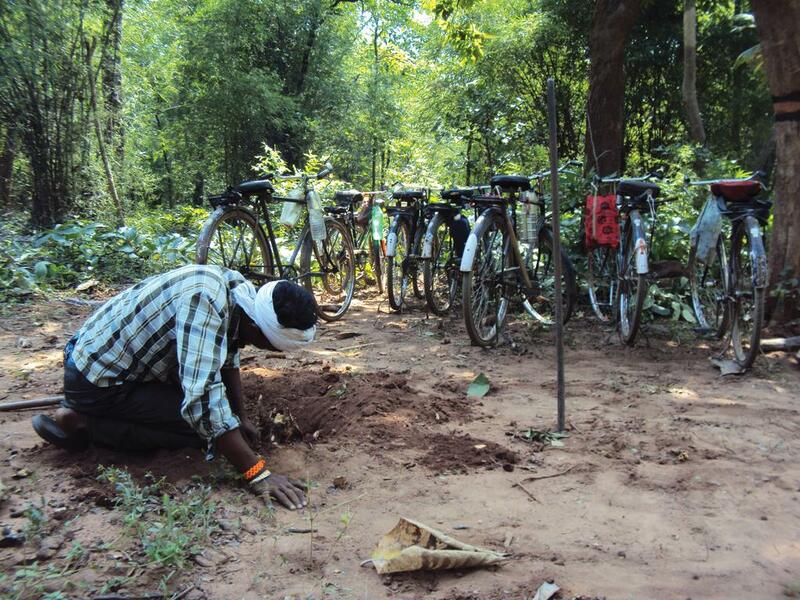 “The forest department had sent us karanj saplings for planting in our CFR areas. We returned them. The tree has no local, economic or ecological use in this area,” says Amit Sonare, member of the Payvihir gram sabha, which won the UNDP Biodiversity Award in 2014 for its “exemplary work on decentralised forest governance”. In 2016, the Nayakheda gram sabha also received the Sant Tukaram award from the Maharashtra government for its forest conservation efforts. Nearly four years after they first planted trees in 2012, the survival rate of species such as amla, bamboo and teak has been as high as 70 per cent in these four villages of Amravati, says the forest department. Natural regeneration has led to increased availability of fodder for the livestock. Wildlife has also reportedly returned to the CFR areas and the communities attribute it to their protection and management efforts. The forest department, however, is cautious to arrive at these conclusions. “These are good signs but we need to back them up with scientific studies,” says Hemant Kumar Meena, Deputy Conservator of Forest, Amravati Forest Division. CFR has also generated tremendous employment opportunities in these villages where less than 35 per cent of the households own land. Migration was rampant with members from at least 70 per cent of the households travelling for more than six months of the year to cities in search of employment. But the implementation of the Mahatma Gandhi National Rural Employment Guarantee Act (MGNREGA) in CFR areas has generated 38,291 days of employment and wages worth Rs 73.5 lakh in three years in the four villages. In a first-of-its-kind decision, the gram panchayat and the departments of tribal welfare, forest, irrigation, agriculture and fisheries pooled in about Rs 6 crore in four years for the development of these CFR areas. “The Amravati experience is unique because it converges various laws, governmental programmes and village-level institutions. Rights over CFR have provided round-the-year livelihood to people, while regenerating forests and wildlife habitats,” says Purnima Upadhyay of Khoj Melghat. The economic potential of NTFP was also evident in Maharashtra’s Gadchiroli district, where 140 villages joined to form a mahasangh and earned Rs 17 crore by auctioning tendu leaves in 2017—the first year they started trading independently of the forest department and non-profits. Beyond Maharashtra, the Vasava community in Shoolpaneshwar Wildlife Sanctuary of Narmada district in Gujarat is also reaping the livelihood benefits from the CFR areas. In four years, starting 2013, a total of 31 villages have earned Rs 28 crore from the sale of bamboo to the Central Paper Mill. To ensure that the removal is sustainable, the community only sells dry and dead bamboo. The mill has struck an arrangement with some of the gram sabhas, wherein it undertakes the tasks of hiring labour and paying wages, while the gram sabhas supervise the bamboo harvesting process and receive a fixed royalty of Rs 675 per tonne. Every individual involved in the harvesting process is also paid Rs 1,275 per tonne by the mill. Some gram sabhas have decided to experiment with an alternate model wherein they are in charge of the entire process. Instead of receiving a royalty, these gram sabhas negotiate the prices of bamboo with the mill every year. And the results have been encouraging. Despite paying a higher wage of Rs 1,500 per tonne to its members, the income to these gram sabhas has been Rs 1,336 per tonne, more than double of what the other gram sabhas get in royalty. “The potential of CFR to provide economic benefits has created incentives for the communities to invest in the management of CFR areas. 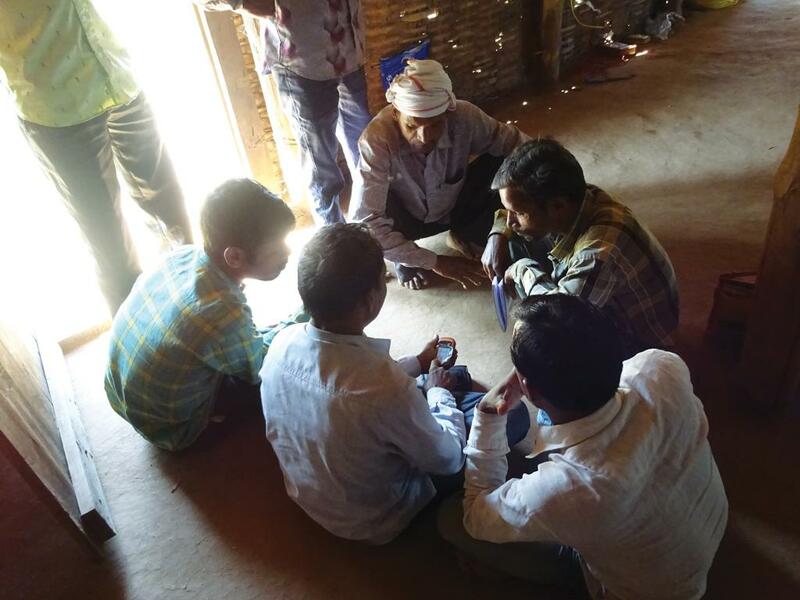 Even villages that have not earned any revenue from bamboo yet are enthusiastic about improving the production of income-generating NTFP in their CFR areas,” says Ambrish Mehta of Vadodara-based non-profit ARCH Vahini, facilitating the FRA process in Narmada district of Gujarat. A total of 18 villages have come together to develop CFR management plans over 7,000 ha. Using GPS devices provided by ARCH Vahini, the villages are identifying and mapping locations in their CFR areas that need intervention. For instance, the nullahs and streams that need bunds, barren and degraded patches that need plantation, slopes that need trenching, and forest patches where grazing should be restricted to allow natural regeneration. “If we use an integrated watershed management approach, we can definitely improve the health of our forests,” says Amir Vasava of Kanji village, Narmada district. What is the kind of role that forest department can and should play in forest lands recognised as CFRs? 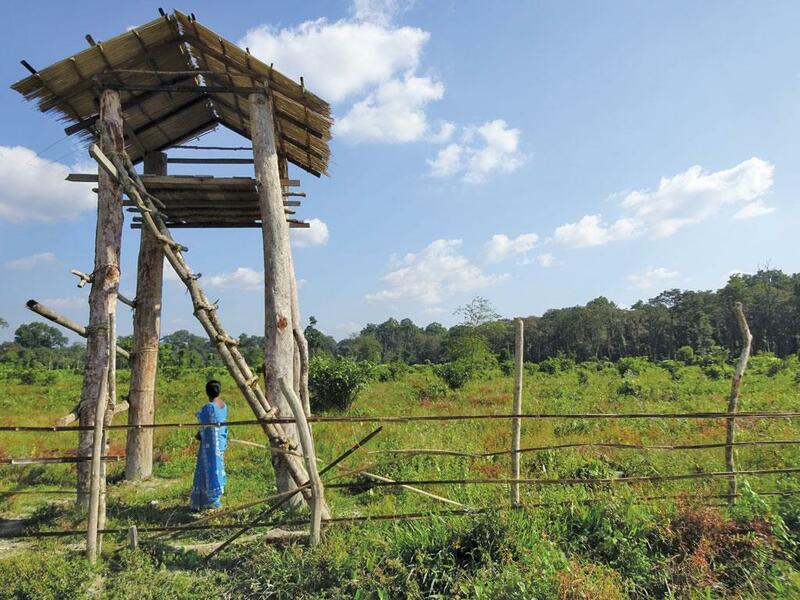 The forest department has been supporting these communities from a long time and it's just that now the government has given a legal sanction and the forest department has been supporting that. What do you have to say about the recent case in Kalahandi where the forest department didn't allow the community to sell tendu? No, no. As far as I know, Odisha is the first state which has denationalised all NTFP and there is no control of forest department on any of them so much so that they don't even have the records. The forest department has completely withdrawn from there. So what you are saying is not correct. There are 67 NTFP items and they have been completely denationalised and have been given entirely to communities. There have been cases of violation of FRA in areas of compensatory afforestation. How is the MoEF&CC planning to address it? When forest land is diverted for non-forestry purpose then an equal amount of non-forest land is given for taking up plantation. So it happens on non-forest areas. How will the FRA come in that? But there have been cases in as many as 10 states where FRA has been violated. See, I don't understand how that happens. The area that is given for plantation has to be a non-forest area. There is a second category of land, degraded forest and that is reserve forest as per working plan, and it'll be taken up as per the working plan. You see the rights are given, the pattas are given, so that area cannot be given for plantation. How can private land or patta be taken? For afforestation either the user agency buys a non-forest land or government non-forest land is given. In such a situation the question of tribal rights does not arise. It's not possible. Most of these villages have also prepared an estimate for the implementation of their CFR management plans. Sagai village, for instance, has budgeted Rs 3.92 crores for watershed management activities in its CFR area of 878 ha. “But there is no clarity on where that money will come from. The state government does not have a coordinated plan for development of CFR areas in Gujarat,” says Mehta. In the Kandhamal district of Odisha, the Desia Kondh women of Jamjhori panchayat have taken the lead. They have formed groups that collect NTFP and are exporting plates made of siali leaf to Germany. A pack of 100 plates fetches Rs 100, while in 2015, a pack of 80 plates was sold for Rs 10 to intermediaries. The Jamjhori panchayat has also taken decisions to protect the forests. “The forest department used to encourage us to set fires to tendu bushes in the pre-harvest season. This would result in a better yield in the harvest season but destroy the small plants of mahua, siali and sal. It was not worth it,” says Sampathi of Madhikol village. Consequently, the forests have become more abundant in all other resources, say village residents. These villages have mandated collection of siali leaves without destroying the climbers. Jamjhori is also trying to regenerate forest foods that were once quite common but have almost disappeared. For instance, the Desia Kondh community has identified bamboo shoots, which they consider a delicacy, for regeneration. “It has almost disappeared from our forests due to fires and overuse. If we regenerate it, we will also make rules for its sustainable use,” says Rashmita Bindhani of Madhikol village. With its high dietary fibre content, bamboo shoots have a high nutritional value, which links directly to local food security, another objective of FRA. The Desia Kondh villages in Kandhamal are also resisting the forest department’s attempts to plant teak and eucalyptus in the CFR areas. “Nothing grows under these trees in our forests, not even mushrooms and tubers,” explains Bindhani. Similar decisions have also come from some other villages of Odisha. Dumerjor in Balangir district, for instance, has taken steps to safeguard forest foods. It has identified 97 forest foods that had become scarce in its CFR area due to timber felling operations of the forest department. These include 13 species of tubers, 14 species of mushrooms, nine species of edible flowers, 26 species of fruits and 32 species of leafy vegetables. The village has been sowing seeds of leafy vegetables in its CFR area and conserving tubers. Similarly, jackfruit plantations have been incorporated into the CFR management plan of Bilapaka gram sabha in Mayurbhanj district. In addition to being a source of food for the tribal communities, jackfruit trees are also considered good for water retention and for enriching soil nutrients. Safeguarding and improving the local ecology has been at the core of CFR management strategies of several gram sabhas of West Bengal. In the northern parts of the state, at least 12 forest villages around the Jaldhapara National Park in Alipurduar district saw CFR as an opportunity to voice protest against the forest department, which often robbed the forests of its diverse resources in favour of timber (see ‘Power to people’,). In 2014, the forest department had planned felling of trees in 34 ha of forests claimed under CFR by the North Khairabari village. The forests of North Khairabari have traditionally served as corridors for elephants and the disturbance to the existing vegetation was likely to aggravate human-elephant conflict which was already on the rise in the region. The village carried out a survey and found that the trees marked by the department for felling included more than 1,400 native species. “Due to forest department’s selective felling, only teak and sal trees remain in our forests. 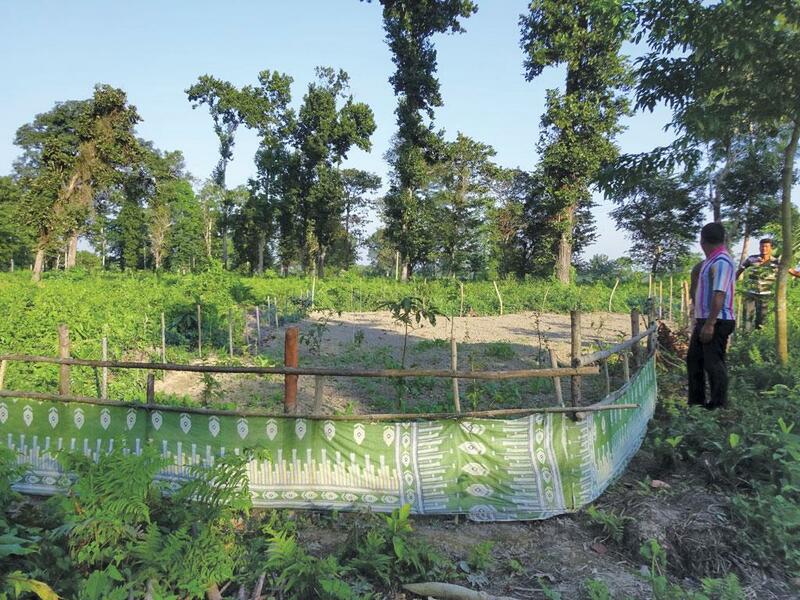 We cannot afford to lose any more of our native trees,” says Vipin Rava of North Khairabari. The village did not allow the department to undertake the felling operations in the area. Similarly in 2013, another forest village, Mantharam, successfully stopped tree felling in 52 ha of forests claimed under CFR. These villages are also questioning the ecological soundness of forest department’s operations. “As a child, I would take our cattle to the forests for grazing. I have seen rhinoceros play with semal trees and eat the flowers as they dropped. But the forest department says that the thorns of semal hurt the rhinos, and cut them down. Now the rhinos come to our fields,” complains Sundar Singh Rava from Kurumai basti. Community FOREST management is known to provide positive conservation results and has been adopted by several countries. A study by Washinton-based non-profit Rights and Resources Initiative states that 513 million ha (15.5 per cent of the world's forests) are under the ownership and control of communities. Mexico has handed over 70 per cent of its forests to communities for management. In Nepal and Vietnam, close to 30 per cent of the forests have been brought under community management. Another study conducted in the Amazon basin in 2015 showed that the recognition of indigenous and community rights to forests is an effective strategy to combat deforestation. In Brazil and Colombia, the deforestation rate was 2.5 and 2 times lower in tenure-secure indigenous lands as compared to land without tenure security. Despite the visible benefits of community forest management, challenges have been many. In Bolivia and Philippines, for instance, the commercial use of forest resources was subject to the approval of the forest administration. Studies show that communities found it difficult to follow the complex regulatory framework of developing management plans without technical assistance from external sources. The government, too, did not support community initiatives due to lack of staff and funding. In Indonesia, the rapid pace of decentralisation of forest governance without building capacities and support increased local conflicts and institutional complexities. Nepal is considered to be one of the most successful community forestry models in terms of forest conservation and improving local governance. Nonetheless, its model has faced criticism for benefitting mostly the elites, not generating adequate livelihood benefits and financial irregularities. The country has had to introduce Community Forestry Development Guidelines in 2014 to address some of these issues. The global examples suggest that burdensome regulations, inadequate capacity of local institutions and indifferent government can defeat the purpose of community forest management. India needs to learn from these examples as it enters a new era in forest governance. Despite the clear benefits of community management of forest and the global evidence in favour of community-based forest governance, implementation of FRA is far from complete. More than 10 years after it was enacted, national and state forest legislations and policies have not been synchronised with FRA. The trade of NTFP, for instance, is governed by different legislations in every state. State governments have been empowered to nationalise certain NTFP, giving them monopoly over the trade of such forest produce. On the other hand, Section 3(1)(c) of FRA empowers gram sabhas to collect, use and sell NTFP. These contradictory legal provisions have led to conflicts. To make matters worse, most forest departments have played an obstructive role in the CFR process—the most significant being the challenge to the authority of the gram sabhas and the imposition of parallel schemes in CFR areas which undermine the Act. For instance, in North Bengal, not a single CFR title deed has been issued though the forest villages filed claims almost a decade ago, in 2008-09. Instead, Joint Forest Management (JFM) was reintroduced in 2015. This is flawed because through JFM, the forest department retains its control over forests in practice. CFR title deeds in Andhra Pradesh and Madhya Pradesh have been issued in the name of Joint Forest Management Committees (JFMC) and not the gram sabhas, as required by law. Forest departments across the country are also yet to come to terms with the fact that FRA belongs to MoTA, not MoEF&CC. Almost universally, forest departments have used this as an excuse to wash their hands off the CFR process. Though Rule 16 of FRA says that state governments, through all relevant departments, including the forest department, should provide “support and handholding to holders of forest rights”, forest departments seem to be in denial. “There are no guidelines for the department in the post-rights scenario,” says Prakash Chand Gogineni, Divisional Forest Officer of Kandhamal, Odisha, who provided a sustainable harvest plan for bamboo to CFR-approved villages in the district. There are also concerns among the department officials about ecological integrity and scientific rigour in the CFR plans of gram sabhas. “Communities only want quick economic returns. We don’t know what they are doing to protect the forests,” expressed Vivek Hoshing, Deputy Conservator of Forest, Bhandara Forest Division, Maharashtra. “It does not matter whether the department or communities manage forests, as long as the forests are protected. But communities should consult us when they make their plans. We can provide them scientific inputs and also support with financial resources,” Hoshing added. Given the historic power imbalance between communities and the forest department, the question is who decides the terms of these consultations. In Shoolpaneshwar, for instance, the forest officials turned down the invitation of the gram sabhas to attend their meeting to discuss CFR management plans. “Instead the department said that it will organise a training on forest management which the community should attend,” says Ambrish Mehta from ARCH Vahini. Conflicts between MoTA and MoEF&CC have been commonplace too. In 2012, Kishore Chandra Deo, the then tribal affairs minister, had suggested to MoEF&CC that MoTA should be represented on the Forest Advisory Committee, the apex body of MoEF&CC that reviews proposals for forest diversion, to ensure that forest rights receive adequate consideration in the forest clearance decision-making process. The Rules of Forest (Conservation) Act, 1980, have been amended three times since then, but MoTA’s suggestion has not found a place. MoEF&CC, on the other hand, has often attempted to dilute the forest rights process through introduction of contradictory Acts and orders, the most recent being a National Tiger Conservation Authority order in March 2017, under which forest rights were denied in critical tiger habitats. While MoTA had been prompt and sharp in its responses to MoEF&CC against such dilutions before 2014, it has come across as weak in the past two years. “There was a need for better integration between the two ministries for the implementation of FRA through forest departments,” says Rekha Pai, former inspector-general of forests, MoEF&CC. Questions sent to Jual Oram, Union Minister of Tribal Affairs, remained unanswered till the magazine went to print. On the other hand, forest rights activists have also been very disappointed with the lackadaisical attitude of the state tribal departments towards CFR implementation. In 2016-17, only five states sought funds for FRA implementation and support for the CFR processes from the Union government. A total of Rs 26.54 crore have been approved to these states. But, most state tribal departments have not asked or been provided the human and financial resources to implement FRA. But despite these challenges, forest governance in India is witnessing a change. The success of villages shows that CFR rights can revitalise rural economy, create employment and develop sustainable business models from forestry. “FRA has shown how forests will be governed in future. 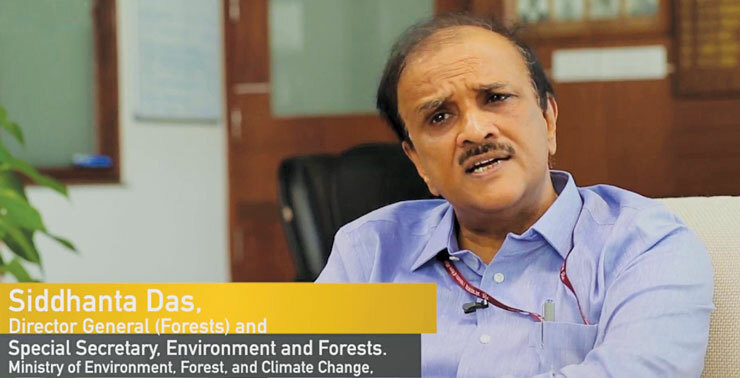 We need to create an environment that helps us replicate success stories that have been witnessed in many parts of the country,” says Chandra Bhushan, Deputy Director General of Delhi-based Centre for Science and Environment. The forest Rights Act (FRA) empowers gram sabhas to preserve their habitat from “any form of destructive practices affecting the cultural and natural heritage” and empowers them to “stop any activity which adversely affects the wild animals, forests and biodiversity”. These two powers have been further reinforced by a circular issued by the Ministry of Environment Forests and Climate Change (MoEF&CC) in 2009. This circular makes it mandatory for the processes of recognition of rights under FRA to be completed and informed consent of the affected gram sabhas sought for diversion of forest land and any compensatory and ameliorative measures associated with such diversion of forests, under the Forest (Conservation) Act, 1980. Consequently, it is now mandatory for the Forest Advisory Committee (FAC) and the Regional Empowered Committees (REC)— bodies that advice the MOEF&CC on matters related to forest conservation and forest clearances—to ensure that processes under the FRA have been completed, and consent of the affected gram sabhas sought, before recommending any proposal for forest diversion. An amendment to the Forest (Conservation) Rules in 2014 has placed the responsibility of providing documentary evidences to FAC and REC, regarding completion of the processes of FRA and obtaining consent from the concerned gram sabhas, on the district collector. Among the first and emblematic examples where these provisions helped the resistance of the Dongria Kondhs of Rayagada and Kalahandi districts of Odisha was the Niyamgiri case, where the Supreme Court ordered in 2013 that the consent of the gram sabhas must be taken before diverting forests for mining. Ideally the FRA provisions and the Supreme Court order should have been able to halt all forest diversion being carried out without the consent of the local communities, reducing natural resource-based conflicts in India. However, using these provisions has not been easy for the local people. The processes of seeking the consent of gram sabhas is often fraudulent, with district administrations manufacturing “false” gram sabhas or intimidating them to give consent, local people being physically and mentally traumatised, among others. Finally, not consenting has not necessarily meant FAC and REC not recommending the proposal. Yet there are a few examples where gram sabhas have been able to use these provisions with varying degrees of success. These include communities of the Kashang valley in Himachal Pradesh, Mahan forests of Madhya Pradesh, the Lepcha community in the Dongzu valley of Sikkim and Monpa community Nyamjang-Chuu valley in Arunachal Pradesh. The Madia Gonds in Gadchiroli district in Maharashtra are using provisions of FRA in their struggling to save the dense forests of sacred Surjagad Hills from being mined by Lloyd Metals and Gopani Mines. Communities in Murbad taluka of Maharashtra continue their protest against Kalu Dam, being constructed to provide water to Mumbai, inundating landscapes these communities live and depend upon. The potential of FRA to prevent forest diversion is most evident in the actions of the state in the Hasdeo Arand forests case of Chhattisgarh where a lease was granted for coal mining in 2012. In the meanwhile, local communities had filed their claims for these forests as their traditional CFR. These CFR rights were recognised in 2013 but were subsequently illegally cancelled in 2016, fearing that empowered with their rights the communities would not allow coal mine. FRA has also been useful for many communities resisting indiscriminate clear felling of forests for commercial purposes by the state forest development corporations (FDCs). These include communities living in and around the dense forests of Chilapata in the North Bengal Dooars, the Baiga community of Dindori district in Madhya Pradesh, the Kutia Kondh community in Rayagada district, and dozens of villages in Gadchiroli and Chandrapur districts of Maharashtra who have legally challenged such operations using the provisions of FRA. (This story was first published in the 16-31 December, 2017 issue of Down To Earth). Ref "Forest dwelling communities" item: Most praiseworthy piece, an eye opener as it shows how rural people around forest peripheries can have better sustainable living and it needs to be encouraged all over the country. The example of bamboo (I did not know India was 2nd in production in the world) is of immense value to all -- forest dwelling families, buyers and economy, wonder why bamboo plantations have not been encouraged all over. The forest department, all over, hppens to be the major culprit -- do we have an active policy to outline which species of trees are to be planted in say Thar Desert or along 5the Aravalli range? Thanks.